(BEND, Ore.) – With more than a foot of new snow falling in recent days, Mt. Bachelor confirms that it will open for its 2018-19 winter season – its 60th anniversary season – on Saturday, November 24, 2018. The Sunshine Accelerator chairlift is scheduled Saturday and Sunday from 9:00 a.m. to 4:00 p.m., serving an easier slope and a mini-terrain park with several sliding features. Lift tickets will be $34 for ages six and older if purchased online at www.mtbachelor.com and $44 if purchased in-person at Mt. Bachelor. Tickets for children ages 5 and under are free. Season pass holders can use their 2018-19 passes according to the access rules published with each product and are welcome to pick up their pass or get a new photo starting at 8:30 a.m. Saturday. In the base area, opening weekend operations will be staged out of West Village, where services offered will include equipment rentals & tuning, food & beverages, a limited set of lesson options and the Gravity Sports shop. Mt. Bachelor’s Nordic Center will also be open Saturday and Sunday with a portion of its upper Nordic trails groomed for cross country skiers. Sledding is not allowed in the Mt. Bachelor permit area, but snow play enthusiasts are invited to enjoy Mt. Bachelor’s Snowblast Tubing Park this weekend with $10 walk-up tubing tickets. With the imminent opening, Mt. Bachelor’s winter Uphill Travel Policy is now in effect. The only hiking route open to climbers is the Cinder Cone route from West Village. All other areas of Mt. Bachelor are currently closed to hiking. Looking ahead, Mt. Bachelor will be closed Monday, November 26 through Thursday, November 29, to collect additional snow and prepare additional lifts and terrain for a potential opening on Friday, November 30. 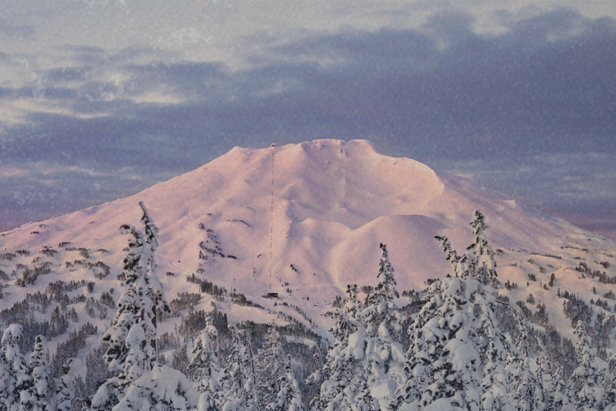 For daily updates on snowfall totals and projected operations, visit www.mtbachelor.com.